I have loved synth sounds, because they can be so supernatural, sounds you can never hear with “analog” non-electrical instruments. So what did I do with Future 80’s Records? Followed and wrote this synthwave album review! 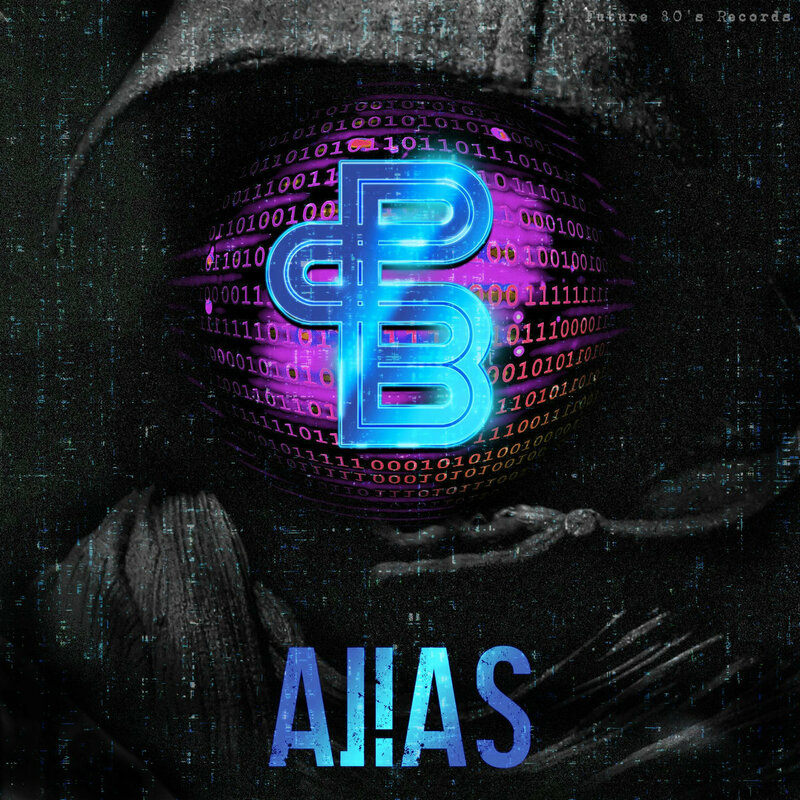 So one day I got a release email by Bandcamp announcing a new album release “Alias” from Python Blue, an American musician who focuses on movie soundtracks and game music. As keyboard player on composer myself I have to listen to others work for inspiration. Here is my little album review of “Alias”. I will promptly start this synthwave album review with the bottom line: this album is NO happy synthwave for your next summer pool party! This album could be the soundtrack of a horror movie or game like for Diablo! And finally it is no music for friends of happy pure C major harmonies. It’s just evil dark music! Some words for each track. “Alias” actually has a good 80’s pop like dance groove but very unusual “detuned” synth melodies for a frightening horror mood. “Iron Jacket” reminded me of Depeche Mode. It features a lead guitar with a very monotone bassline and again without happy end chords. “Low Profile” is a slow, sad and dark e-piano ballade which could be the final track for a sad tragedy movie. It features a dark thrilling open sus chords progression. “The Nightclub” is the only track that one could play in… uhm… nightclubs! There you got a typically grooving synthwave bassline and, I did not expect it anymore… happy end chord progression which made me actually feel playing Turrican again! Yes! But I could not figure out, whether the lead guitar is a real guitar or a distorted synth. But anyway this does not matter to me. “Interlude – Anonymous Life” is actually an interlude without drums but with a great detuned bassline which makes it more thrilling and a pad with great overtones. “Spies” is dark and unhappy and made me feel walking through a dark tunnel with a lot of evil villains and obstacles. Pizzicato arps ensure tension a piano melody in semitone steps makes this track even darker. “Stealth Mode” is a slow e-piano ballade for your quiet stealth mode in like Deus Ex. “Alone and Afraid” is mid-tempo with a great interplay between a unvarying arp synth and varying bassline. The second part is a bit disappointing repeating the theme and only adding the long 80’s snare. “Revelation” pops out of the dark mood featuring happy cheesy pan flutes like in folk music? “Escape from Reality” is the last track and really your end boss fight track. The Red alarm bassline and bells lead you to your diabolical end with actually a big blast at the end!